Many businesses are beginning to realize the benefits of hiring a professional CFO Service provider. However, businesses often fail to perform the right research to ensure that their choice is going to be profitable. If you are willing to dedicate your money and time to hire a CFO Service, perform infallible research before you take a step ahead. Small or large businesses which often lack a high degree of sophistication can greatly improve financial administration with the help of a CFO firm. There are innumerable potential benefits which can help increase productivity like increased profitability and shareholder value and a strategic, result-oriented perspective of an outside expert. By making these connections you can self analyze the boost you get to professionalism and productivity for your business. Carefully choosing the CFO firm that is well versed for its vast experience will bring a holistic approach to your business. Not only will it refine financial, but also the non-accounting aspects of your business. These areas may include all other departments in your organization such as Human Resource or IT departments. An experienced and well-chosen CFO Service brings an unbiased and independent perspective challenges your business might be facing or to boost productivity. As a result, you get highly professional and impartial advice which is always in your business’s best interest. 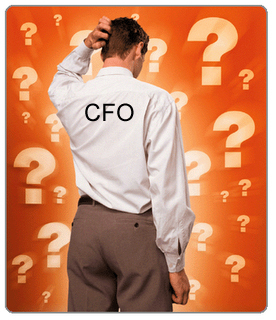 Staff assessment, supervision and counseling are vital offerings of CFO services. They are programmed to look for problems which might be inhibiting growth and productivity for your business. If under-trained or un-skilled staff is your problem, they’ll willingly fix it. With advancements in all aspects of businesses, CFO Service’s job is more complex than ever. Choosing the right service can give a whole new way and face to your business, ultimately increasing productivity and boosting revenues. 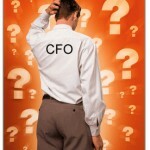 1 Pings/Trackbacks for "6 Ways A CFO Service Can Increase Productivity"